After nearly thirty years of marriage, a Victorian clergyman, John Selby Watson, bludgeons his wife to death one Sunday afternoon after church. In this compelling tale by award-winning novelist Beryl Bainbridge, the seemingly ordinary history of their marriage unfolds until it climaxes in a sudden brutal act and a headline-grabbing trial. 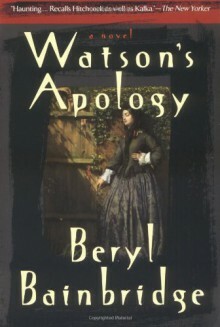 As true to the documented facts of this actual case as to the workings of her singular imagination, Bainbridge artfully reveals what history withholds: the motives, feelings, and insanity that drive the Watsons to their domestic tragedy.